It is time for New Year’s resolutions. Mine are pretty simple and straightforward. I have dedicated 2011 to listening to my heart and taking care of myself first, which, actually I think are one in the same. I often put others before me and as a result, I have felt compromised. I have decided that this year is my time; a time to make things different. It is my opportunity to make peace; with myself, my mother and my husband. As my yoga instructor succinctly put it, you can’t move forward until you find forgiveness. Without forgiveness you are stuck. I want to get unstuck this year and also be true to myself. First thing I am doing is getting this large fibroid tumor removed. Sorry to be so blunt and forthright but I can’t really beat around the bush. It has to go. It is getting in the way and as much as I don’t like having surgery, I know that I will like it even less if it continues to grow. Of course, my mother can’t be here for the surgery because she has to go to the Dominican Republic to bask in the sun. The cold weather is getting her down. It is getting me down too but I am not retired and can’t run to the sun on a whim. I guess I could be upset with her on the one hand and yes, I do find it hurtful, but she has her own demons to deal with and I can’t solve those issues for her. As my husband said, “I know it hurts that she isn’t more supportive but don’t underestimate what losing a mother to cancer when you are twenty can do to you.” So, in the spirit of a true yogi, I will overlook this flaw and try to be mindful of myself and my needs. This is where the making peace with myself part comes in. We all make decisions in life and some have been good and others not so good. Nevertheless, I am going to trust myself this year and know that my decisions are good choices for me. That is hard. I called my mother and my husband to talk about when to schedule the surgery. Each had a particular time frame in mind. A time frame that was good for them. My husband wanted me to have the surgery before Christmas because it was convenient with work. My mother wanted me to have the surgery in February after her trip. Neither of those times appealed to me. I wanted to enjoy Christmas to the fullest with my children and family and we have a trip to Florida scheduled for February. In the end, I did listen to my heart and I chose January 12th to have the procedure done. Now I am not going to have the support of either one of them as much but it is the time that works for me. The children are in school all day so I will have ample time to recuperate and there is really nothing going on. This brings me to forgiving my husband. The last time I went through surgery and chemo he could have been more supportive. He tried, but he just didn’t really understand what I needed and truth be told, I am not sure that I knew what I needed. Now is the time to forgive and forget. With the upcoming procedure, I am more aware and have explained that I need him home for several days. He has responded by taking days off of work next week and agreeing to help with the children. So, as the surgery approaches, I will listen to my heart and pray for a speedy recovery. I am sure that I will lose sight of my goals and forget ocasionally "to listen" but maybe, just maybe I will eventually get unstuck. Jeanne, I am so happy that you have set the date for surgery and you have gone with your own instincts regarding the date, which, incidentally, is the day after my birthday so I will remember it. 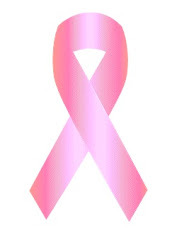 It is also the birthdate of one of my friends from the breast cancer support group. I can relate to your comments regarding your Mother and husband. I honestly do think my children may well tell you that I have been a disappointment as a grandmother. I found myself still being a mother when all my friends had raised their children and had 'freedom.' Jezz was born 10 years after Megan. And... as for husbands, I really do find that most have no idea. I often feel 'let down' by lack of support. Good luck with your surgery, and it's so great that you are being proactive. I could totally relate to your posting. When I was going through my diagnosis 10 years ago, as well as chemo and radiation, my parents could not support me the way I needed. I've long since forgiven them, knowing that even if they didn't express it to me, their pain of having a daughter go through breast cancer was immense. So good to hear from you. I appreciate all of the support. I have been caught up in such a whirlwind over the holidays that I am just getting back to blogging and writing at all. My mom may come after all so I will keep everyone up to date. Never a dull moment. Very wise words. I think that it has been a little too much for my mother. A mother dying of breast cancer and two children with cancer(my brother had colorectal cancer five years ago) is a lot for any one to bear. I am fortunate that she has been there for some of my procedures and know that she has her own worries. Thanks for the comments. As a young mother,in August of 2007,I was diagnosed with infiltrating ductal carcinoma, the most common form of breast cancer. Following diagnosis, I had a bilateral mastectomy on October 25, 2007 which revealed that I had a 1.6 cm malignant tumor and a micrometasteses in one of my sentinel nodes. Because of these findings, I had an axillary node dissection. Following surgery, I had four rounds of excruciating chemotherapy. Because of the size of the tumor and the fact that I did not have additional lymph node involvement, I was considered to be Stage I at diagnosis. My recovery and the journey through breast cancer was endurable primarily because of the help of many women. Women who took care of me and my family so that I could rest and get well. This blog is here to reach out to other women as we all live through each and everyday as mothers, sisters, daughters,survivors and "thrivers" of this disease. I believe that this is a role that should be celebrated because there truly is a story of sisterhood and survival. This blog is for that bond that unites women everywhere. A little bit of this and that.